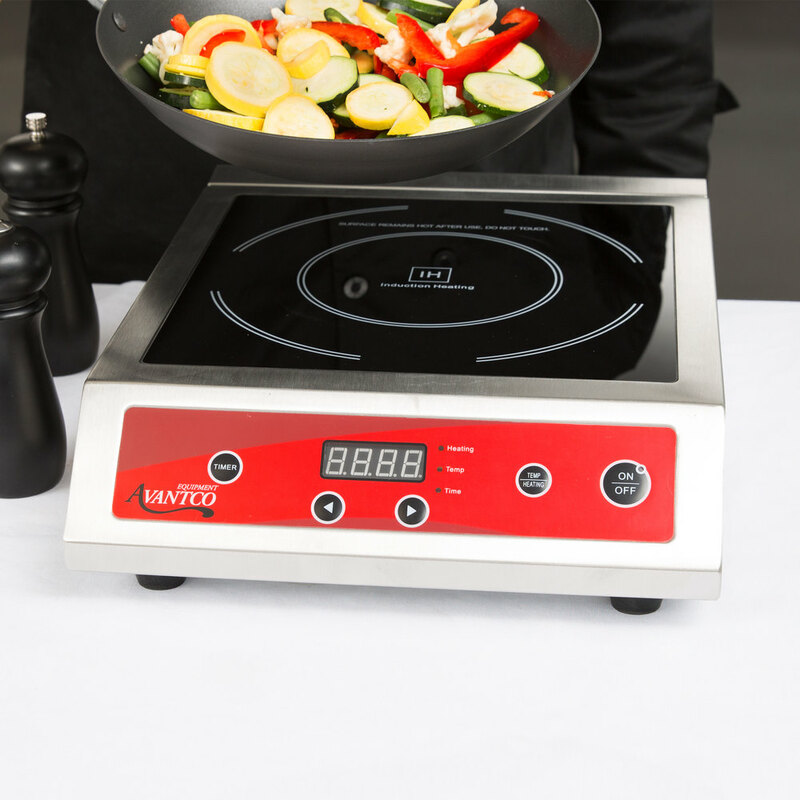 This Avantco IC3500 countertop induction range delivers superior usability and performance for all your cooking needs! 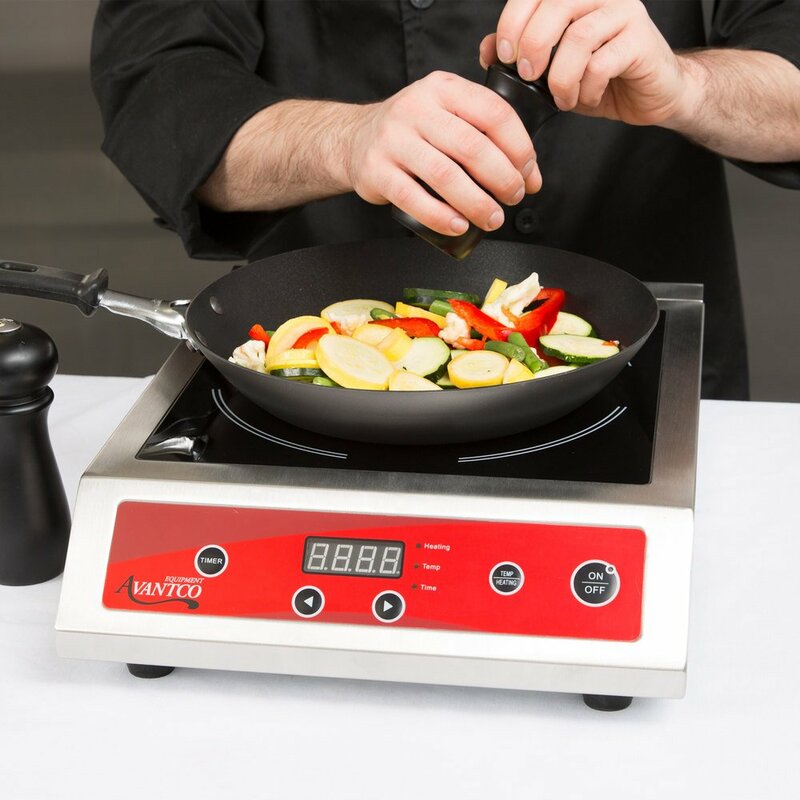 With innovative technology capable of heating up in as little as 1 minute, this induction burner is perfect for use in cooking applications that require quick heat up times and fast recovery such as buffet tables, banquet halls, and cruise ships. And, since there's no open flame or exposed burner, this induction unit is safer than conventional countertop ranges. For added convenience, a built-in 180 min. timer allows you to keep track of your culinary creations, and you can cook using either a power level / wattage mode (500-3500W), or a temperature mode that ranges from 140 - 460 degrees Fahrenheit. Simply place an induction-ready pan or pot on the cooking surface and turn it on! - Accepts induction-ready pots or pans with a bottom diameter of 5" to 10 1/4"
Front to Back: 15 1/2"
Great countertop cook top. We do not have a flat top or stove in our commercial kitchen, and this has been a great solution to our food preparation needs. I'm absolutely amazed with this product. It's convenient, lightweight and takes up a minimal amount of counter space. It works super well without adding extra heat to the kitchen and speeds up my cooking times. As a homebrewer, this unit worked admirably for about 20 batches before the fan gave out. It still heats briefly until it overheats and shuts down. 5 stars while it worked, but not now. This induction range has been a beast and has outlasted many others that we have had that were much more costly. definitely recommend to small restaurants. When these things are working, they are fantastic. They heat fast and consistently. BUT they only last to just past the warranty. First the LED panel will go out, no big deal, you can still use it. After that it will just stop heating. I have had 2 die on me now. We just ordered our second one of these burners! It is lightweight, quick to heat up and we use it daily in our little bakery cafe! Top of the line induction burner, this thing gets hot super fast. We use for all sorts of things in the bakery, such as bain marie, pastry cream and so much more. It gets hot very quick so when cooking directly on it I use it around 80-120 degrees but hotter when using it as a bain marie or for caramel sauces. 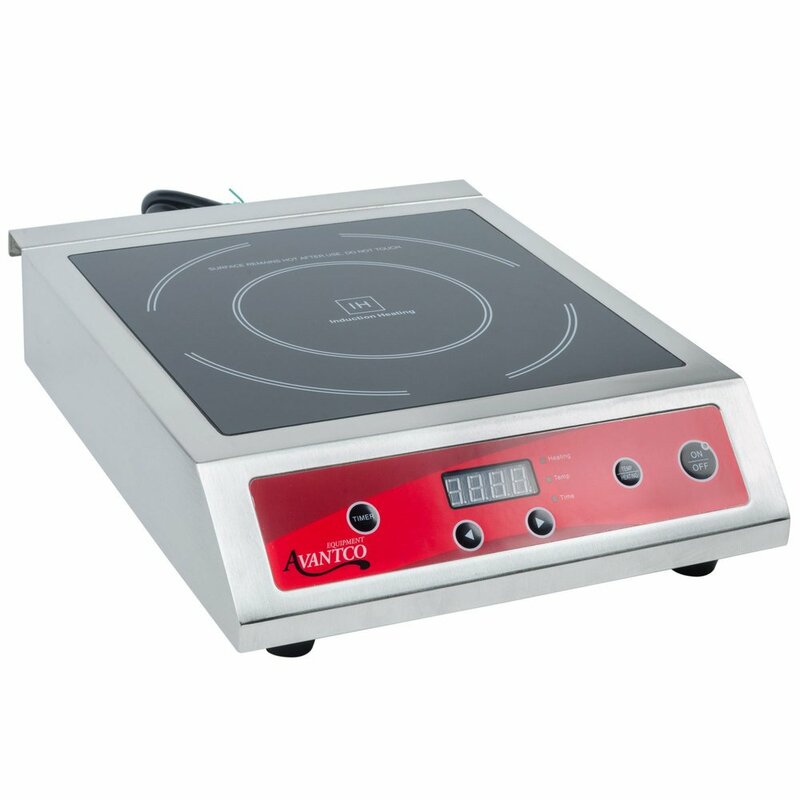 Honestly my life would be incomplete with my induction burner, it is super important in my bakery. looking forward to getting another one soon. I purchased this item to use in my bubble tea shop, specifically to cook boba, which are tapioca balls. I've used it at least 3 times a day for 6 weeks now and I love it. It does exactly what I want it to do. It heats up quickly to a rolling boil and when I turn it down to simmer it goes down as quickly too. I haven't had any issues with this iem and I highly recommend it. I've had this product for a bit now so I feel comfortable revewing it. I do a lot of homebrewing which is entirely what this is used for. It takes maybe 20 minutes to heat strike water and about 35 minutes to bring the full boil volume to a nice rolling boil on full power. At that point I usually turn it down to medium power. All in all this induction cook top is awesome. I would absolutely recommend it. We purchase multiple units of the Avantco IC3500 when our primary range went out and we needed to wait 2 weeks for a part. It took us out a jam and we continue to use it on a regular basis. Highly recommend this item. We have a couple of these in booth our kitchens and they are great. We usually get the smaller wattage one but we had great spot with the higher voltage outlet near by, so we upgraded. You have to use magnetic or induction ready cookware on this . we also use cast iron skillets. It boils water super fast, and can maintain a constant temp. On the highest setting it does make a high pitched sound, but you get used to it and with all the other kitchen noise, it isn't that bad. Be careful with handling it and moving it around. We get about a 1.2-2 years out of them before they break. 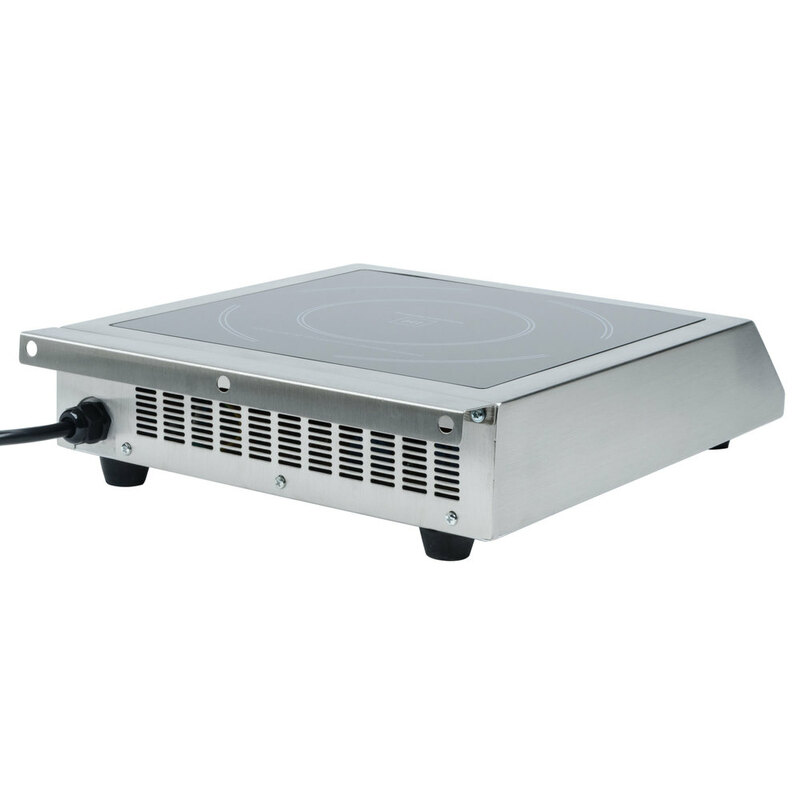 This induction burner is the perfect space saving solution we have been looking for! We love it! It's shiny! It beeps a lot though. And it's loud. Evan B. from Jack & Alice LLC. For homebrewing it's Da Bomb! Brings 4 gallons of 50 degree f water to a rolling boil in 30 minutes and after you add your fermentables is easy to tune the power for the 1 hour boil. Can't comment on long term reliability, but loving it so far. This induction is fine, and very reasonably priced. It's not very adjustable (goes from pretty low to super hot in just a few clicks), and the heat tends to be focused in the very center of the pans, so you really must stir stir stir in order to keep your food from scorching in one spot. It gets the job done, but I'm saving up to buy a more sophisticated model. 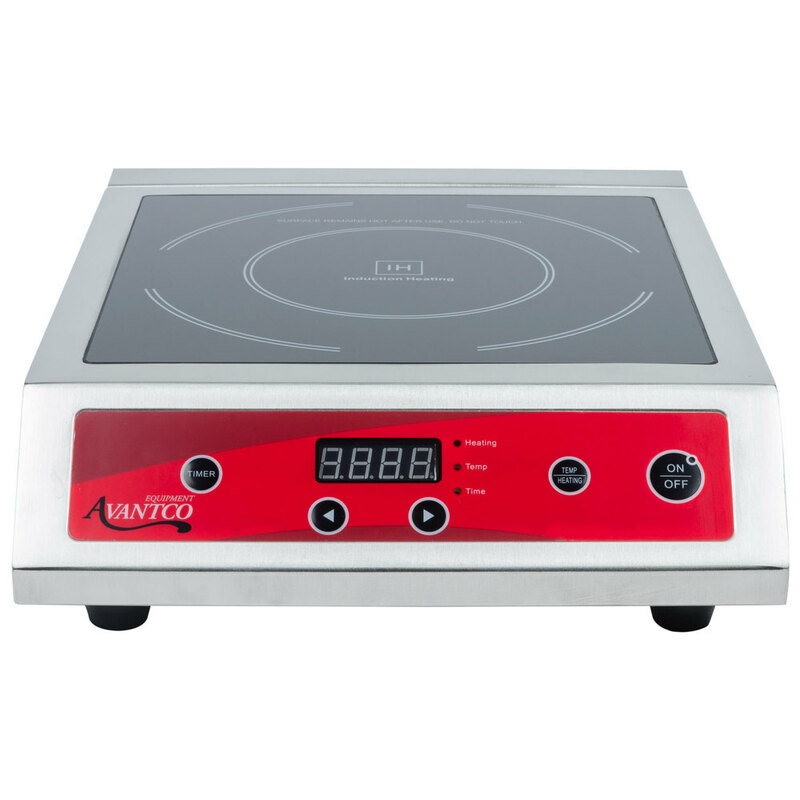 This Avantco 3500W induction burner is fantastic. Priced well below the competition, this burner holds its own in the kitchen. The large glass cooktop is easy to clean and looks great. Stainless body of the burner is well made and sturdy. I use this burner for homebrewing and have had no issue heating up to 8 gallons of wort to rolling boil. I am sure it would boil an even larger amount but have not yet tried. Much cheaper to operate than propane burner. Heats only where the kettle makes contact with the glass so the sides of your kettle do not get scorching hot as they would when using a propane burner. I highly recommend this product. I bought several of these induction cookers. They work pretty good for the first 6 months but once the time is up the all went down. Luckily they were still under warranty so I was able to get replacements. Overall it's a powerful cooker but don't expect them to last. I bought the IC3500/ 220watt for homebrewing so I could take my operations from the garage to basement. My 10 gallon brew pot (appx13.3") is larger than the cook-top and as result, it takes a while (45min) to boil from room temp. However, once boiling it keeps 6.75 gallons at a nice gentle boil. Keeping the lid 1/2 on creates a much vigorous boil. Initial review of this unit is satisfactory and great bang for the buck. I do recommend this unit for homebrewing.